BIM usage, despite reports to contrary, remains minimal among large building portfolio Owners. That is to say that the “life-cycle management of the built environment supported by digital technology” is not being practiced in an efficient, transparent, consistent manner by many, if any, public or private sector Owners. The question is why? Reason #1 – Most Owners don’t understand the basic tenants/requirements of life-cycle management. Despite popular opinion, technology is NOT the issue. BIM is in desperate need of a core glossary. A core glossary a defining dictionary that enables definition of concepts, especially for newcomers to a language or field of study. It contains a small working vocabulary and definitions for important or frequently encountered concepts, usually including idioms or metaphors useful in a culture. 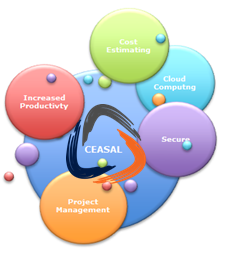 In a general sense, a glossary contains explanations of concepts elevant to a certain field of study or action. In this sense, the term is related to the notion of ontology. Automatic methods exist to a transform a glossary into an ontology or a computational lexicon. Computational approaches to the automated extraction of glossaries start from domain terminology and extract one or more items (glosses) for each term of interest. Glosses can then be analyzed to extract hypernyms of the defined term and other lexical and semantic relations. R. Navigli, P. Velardi. From Glossaries to Ontologies: Extracting Semantic Structure from Textual Definitions, Ontology Learning and Population: Bridging the Gap between Text and Knowledge (P. Buitelaar and P. Cimiano, Eds. ), Series information for Frontiers in Artificial Intelligence and Applications, IOS Press, 2008, pp. 71-87. R. Navigli. Using Cycles and Quasi-Cycles to Disambiguate Dictionary Glosses, Proc. of 12th Conference of the European Association for Computational Linguistics (EACL 2009), Athens, Greece, March 30-April 3rd, 2009, pp. 594-602. J. Klavans and S. Muresan. Evaluation of the Definder System for Fully Automatic Glossary Construction. In Proc. of American Medical Informatics Association Symp., 2001, pp. 324–328. A. Fujii, T. Ishikawa. Utilizing the World Wide Web as an Encyclopedia: Extracting Term Descriptions from Semi-Structured Texts. In Proc. 38th Ann. Meeting Assoc. for Computational Linguistics, 2000, pp. 488–495. P. Velardi, R. Navigli, P. D’Amadio. Mining the Web to Create Specialized Glossaries, IEEE Intelligent Systems, 23(5), IEEE Press, 2008, pp. 18-25. Just read the below. Now granted I didn’t go read the article, but since when is the majority of the cost of building in its construction? Last I new, at least in the commercial, education, healthcare, and government sectors, 70%-80% of a building’s costs are attributable to ongoing renovation, repair, operations, etc. By Matt Stevens MBA Ph.D.
On my way back from IFMA 2012, which included the initial meeting of the BIMLO committee/group. 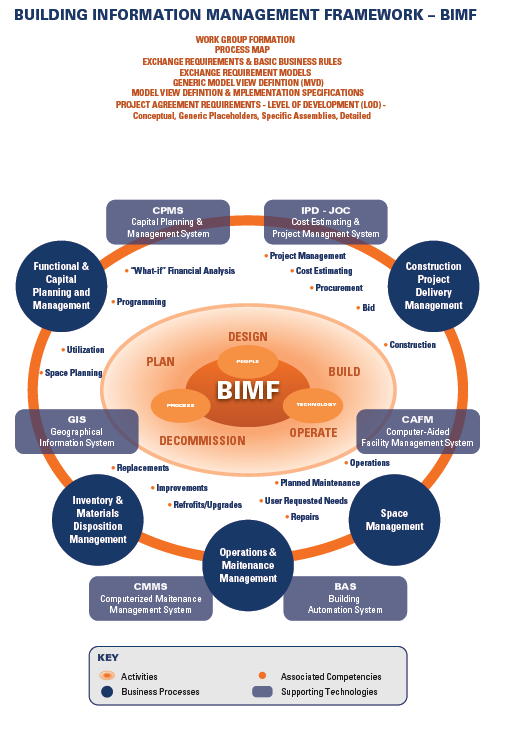 This is a group focused upon BIM and life-cycle operation of the built environment. 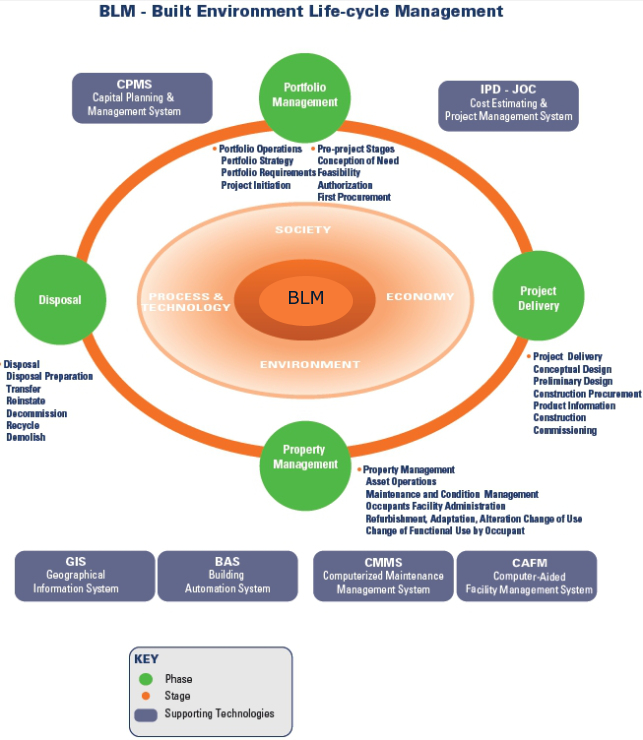 Interestingly enough IFMA’s definition of facility management is virtually equal to that of BIM. 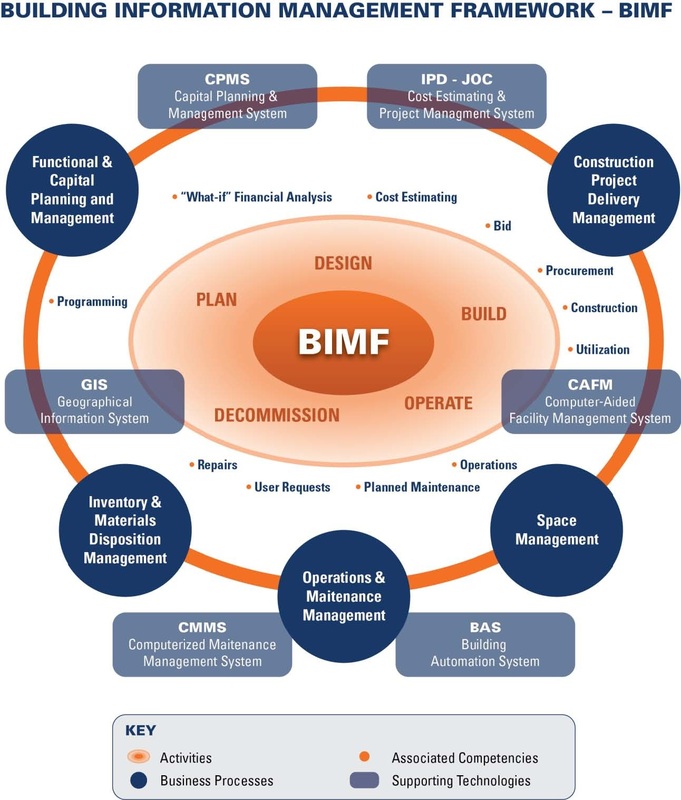 I am hopeful that IFMA will leverage it’s potential to finally get BIM moving in the right direction, and away from the the “3d distraction”. 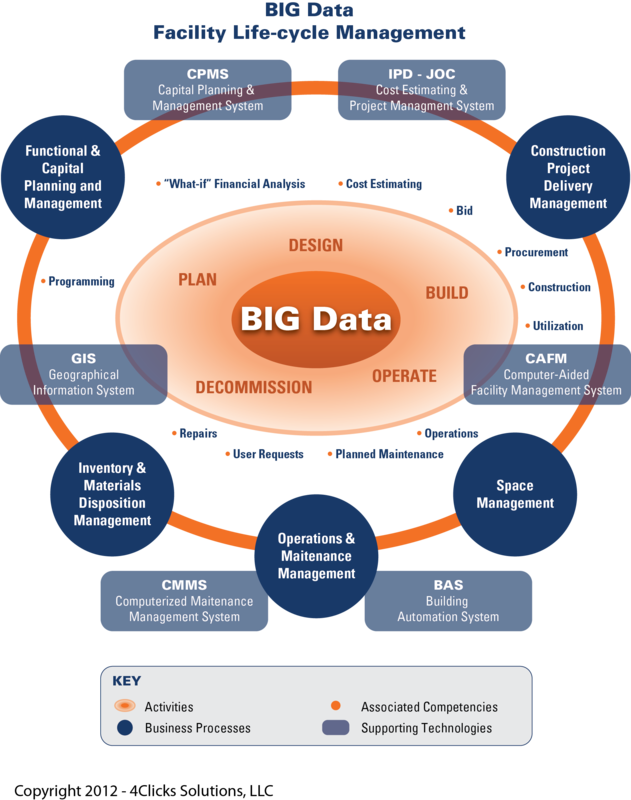 The true value of BIM is in the development, communication, and on-going improvement of robust business processes supporting life-cycle management of the built environment, supported by standardized terms, information, data, metrics, and supporting technologies. Lastly, collaborative construction project delivery methods are critical to BIM, including Integrated Project Delivery (IPD) for new construction, and Job Order Contracting (JOC) for renovation, repair, sustainability, and minor new construction. Definition of Facility Management (IFMA) – Facility management is a profession that encompasses multiple disciplines to ensure functionality of the built environment by integrating people, place, process and technology.